Eggs might just be the easiest, cheapest and most versatile way to up your protein intake. Beyond easily upping your daily protein count— each 85-calorie eggs packs a solid 7 grams of the muscle-builder—eggs also boost your health. They’re loaded with amino acids, antioxidants and iron. 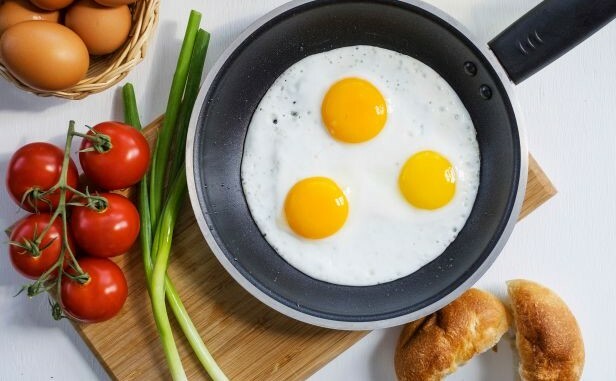 Don’t just reach for the whites, though; the yolks boast a fat-fighting nutrient called choline, so opting for whole eggs can actually help you trim down. When you’re shopping for eggs, pay attention to the labels. You should be buying organic, when possible. These are certified by the USDA and are free from antibiotics, vaccines and hormones. As for color, that’s your call. The difference in color just varies based on the type of chicken—they both have the same nutritional value, says Molly Morgan, RD, a board certified sports specialist dietician based in upstate New York. Here are 12 incredible effects the mighty egg can have on the human body.